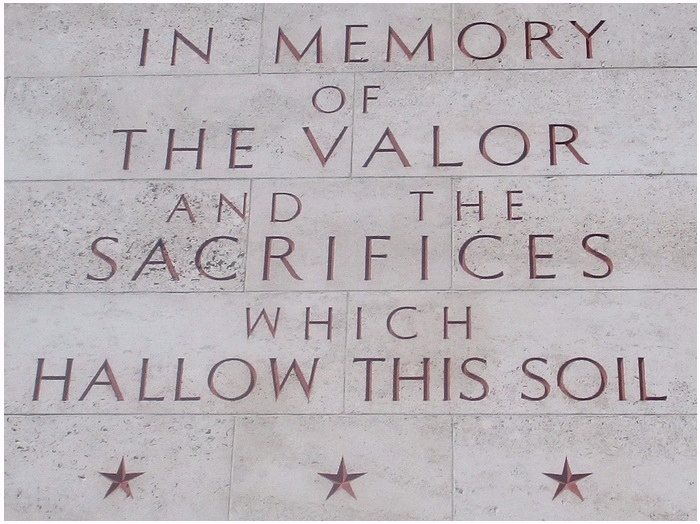 As mentioned before, on the Magraten cemetery lie more than 8300 young Americans. They lost their lives, far from home, in a murderess world. Thanks to these men, who knew; 'if I fall, another will take my place', we are living in a free western world. The names on the gravemarkers have no faces for the ordinary visitor. What did they look like, what were their plans for the future 'after the war', we we'll never know, they rest for eternity in Dutch soil. But not nameless. We, the free people, can silently stand at their grave and thank them for their sacrifice. Everyone that rests on Margraten deserves the highest decoration and is a true hero in my eyes. And everyone should have their story on these pages. But I do not know their story's, except for a few, which I like to share with you. As you wander between the graves, you may come across six stones with golden lettering. These are the markers for the men that got the highest decoration for valor, the 'Medal of Honor'. In spite of that many Afro-Americans fought in the Second Worldwar, not a single one was handed a Medal of Honor. In 1993 the US Army ordered the Shaw University in Raleigh, North Carolina, to investigate if racial segregation had anything to do with not giving the Medal of Honor to black soldiers. After the investigation, it became clear that the segregation played a big part in many cases. The Shaw University brought in 10 names of black Americans who deserved, in their opinion, the Medal of Honor. Seven of these men were proposed to the Congress in October, 1996, who gave their approval a month later. 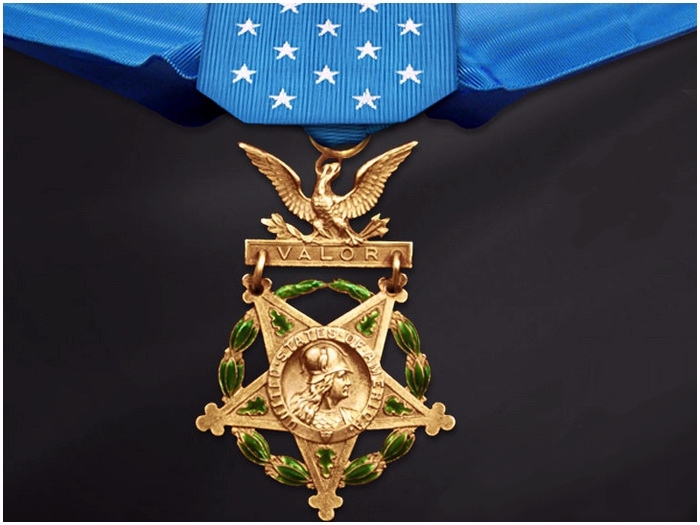 On January 13, 1997, the first Medals of Honor were handed out by President William Clinton. Of the seven approved medals, there was only one survivor alive, Vernon Baker. The other medals were given posthumous to the relatives. Their six gravestones were adapted and given golden lettering. 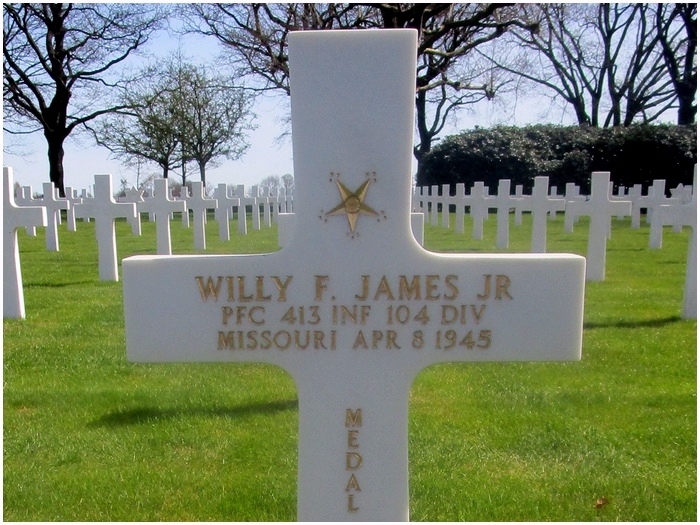 Private First Class Willy F. James, Jr.
One of the forgotten Afro-American heroes who was honored 52 years later, was Willy F. James, Jr. Born March 18, 1920 in Kansas City, Missouri, Willy James went in the US Army on September, 11, 1942. As a scout for the infantry, he was placed with Company G, 413th Infantry Regiment of the 104th Infantry Division, 'The Timberwolves'. The Award Combat Infantry Badge. 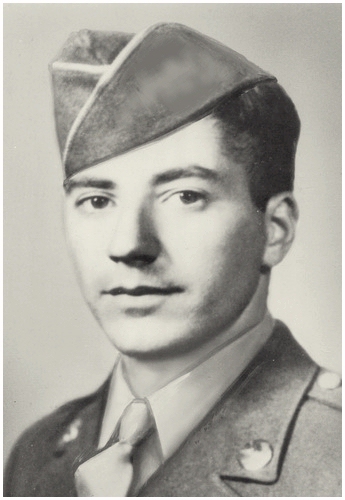 April 8, 1945, sees Private First Class James as first scout near Lippoldsberg in Germany. The target was to secure a bridgehead and to extend it. 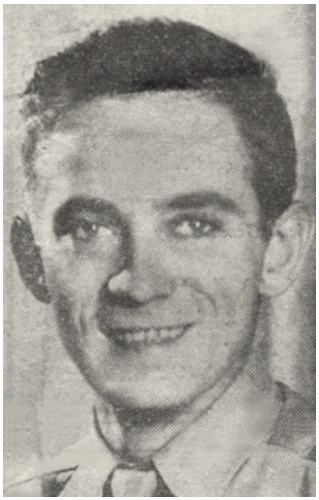 As first scout, James was the first target for enemy fire. Despite the fire, James did observations for an hour on the German positions. When James returned to his platoon, he helped with the preparations of the attack on the enemy. Because of his knowledge of the German positions, he led a attack on a few appointed targets. When the platoon commander was critically injured, James didn't hesitate and tried to safe his commander. German machinegun fire killed Wily James during this ordeal. He was given posthumous the Bronze Star Medal, the Purple Heart, the Army Good Conduct Medal, the European-African-Middle Eastern Campaign Medal and the World War II Victory Medal (all pictured below) and were added to the Award Combat Infantry Badge. And then in 1996, Willy F. James, Jr was also given the Medal of Honor. To inspire future generation in the US Army, James his name was given to the army barracks of the 7th US. Army Reserve Command (ARCOM) Reserve Center in Bamberg, Germany, on November 4, 2001. 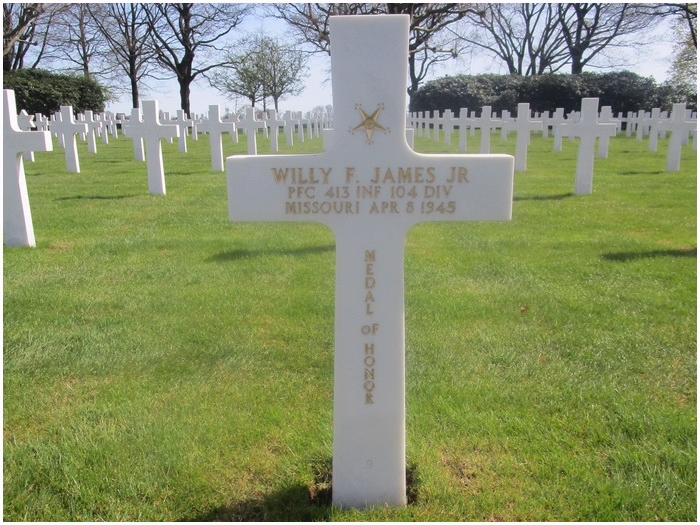 Private 1st Class Willy F. James, Jr. is buried at Margraten on plot P, Row 9, Grave 9. 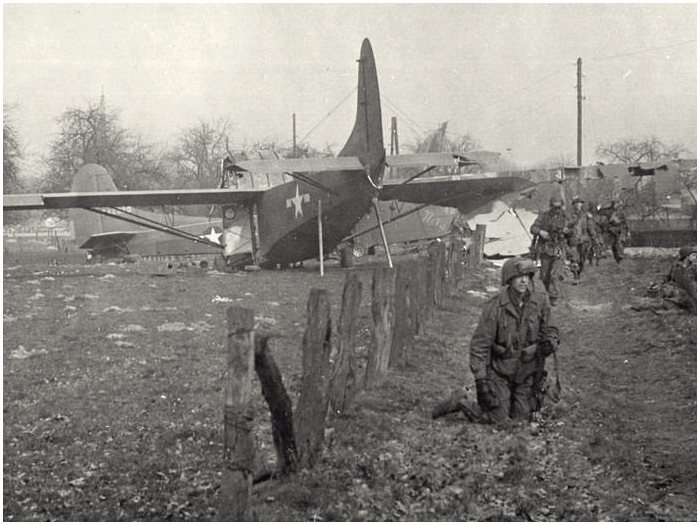 During 'Operation Varsity' the 507th Parachute Infantry Regiment of the 17th Airborne Division landed on March 24, 1945 near Fluren, Germany, east of the river Rhine. One of these paratroopers was Private George J. Peters, original from Cranston, Rhode Island and radio-operator of Company G.
Para's of the 17th Airborne Division during 'Operation Varsity'. With ten others, Peters landed in a field that was covered by a German machinegun which was protected by several riflemen. Within 75 yards the paratroopers were an easy target. Peters realized that if nothing was done, they all would get killed. He rose to his feet and ran towards the enemy position. This action drew all the attention to Peters. German fire cut into Peters, which brought him to the ground, halfway to the enemy positions. He scrambled again on his feet and continued his assault. But he was hit again which made his legs useless. His wounds forced him to crawl. When he reached the German positions close enough, he threw some hand grenades in the machinegunpost. Two Germans were killed instantly and the riflemen decided to pull back in the woods behind them. Peters sacrifice saved his comrades so they could organize, equip themselves and to go after there goals. 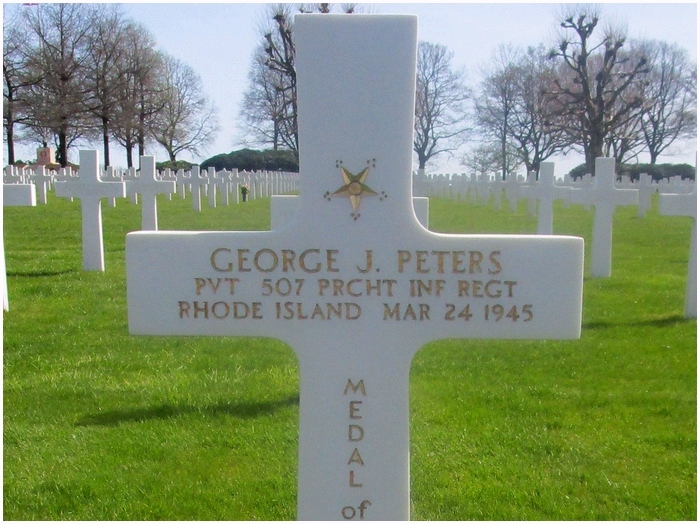 February 8th, 1946, George Peters received posthumously the Medal of Honor. 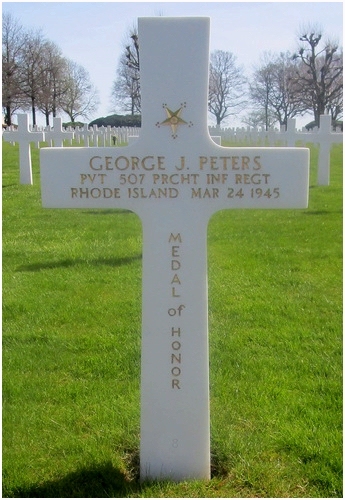 Private George J. Peters was buried at Margraten in Plot G, Row 17, Grave 8. Groupleader Private First Class Wetzel, of the anti-tank Company of the 13th Infantry Regiment, 8th Infantry Division, was standing guard on April 3, 1945 at his platoons commandpost in Birken, Germany. It was early in the morning when he noticed some enemy action. German troops were heading for his commandpost. He went into the house and warned his comrades. After that, he opened up with his rifle. The Germans returned fire from automatic weapons. In the dark, some Germans reach the post and threw in two grenades through the window where Wetzel and others were hiding. Walter Wetzel cried a warning and without hesitation jumped onto the grenades. The explosion was absorbed by Wetzel his body. His wounds were lethal and Wetzel died as a hero. His sacrifice saved many men in that room, and they were able to hold of the German attack. 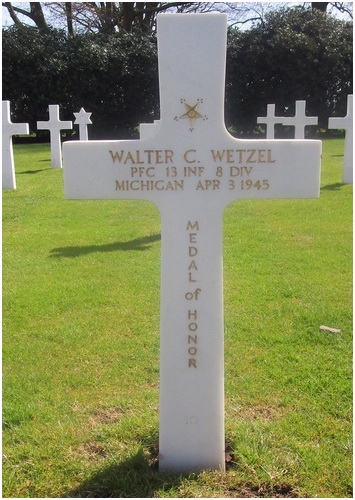 Private First Class Walter C. Wetzel was granted posthumously the Medal of Honor on February 26, 1946. 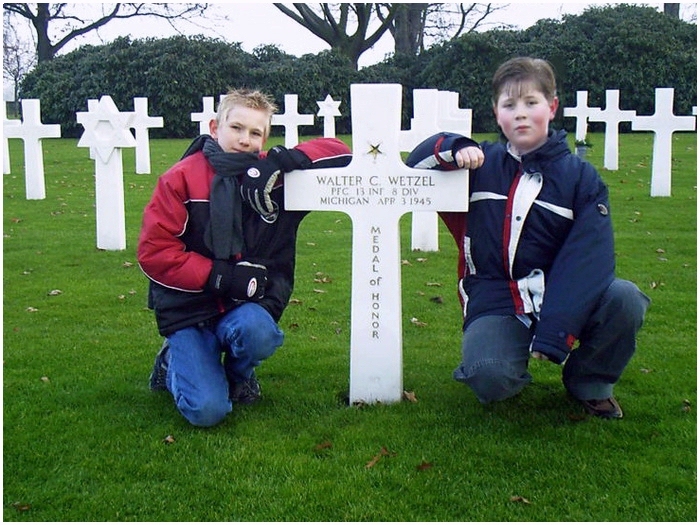 In Baumholder, Germany, the elementary school for American military and civilian personal was named after Walter Wetzel. The remembrance of his sacrifice will never be forgotten to the youth of tomorrow. 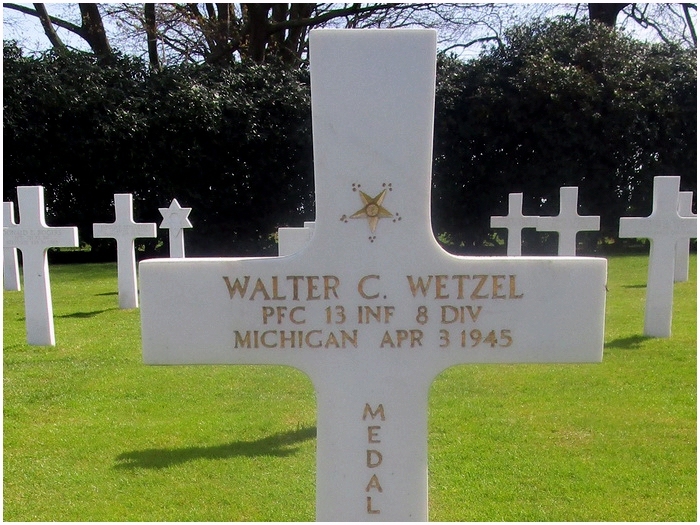 Private 1st Class Walter C. Wetzel is buried at Margraten in Plot N, Row 18, Grave 10. 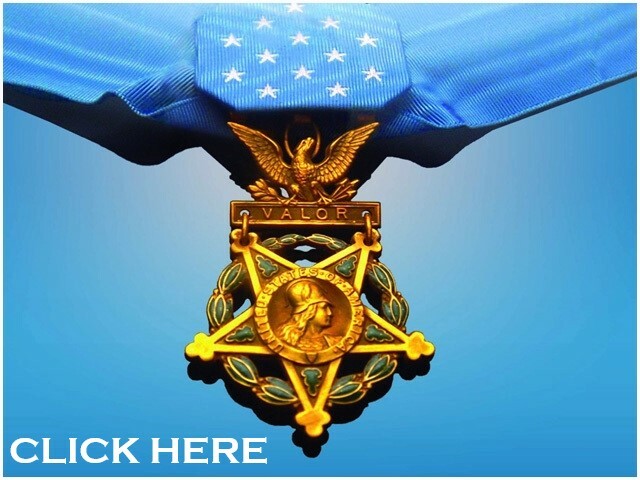 Click for the last page on the Medal of Honor below.